£ 49.99 for a whole weekend, or 5 days for £ 85 or £ 99.99 a week, all you need to do is pay a £100 fully refundable damage deposit via credit card and away you go. 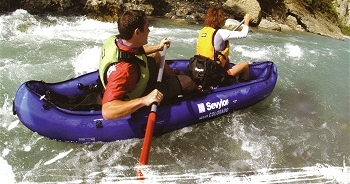 We even do a try before you buy scheme whereby if you have paid to hire a canoe from us and you like it so much that you want to buy one from us at the end of the hire period, we will let you use the money which you have already paid us to put towards the cost of buying a new canoe from us. 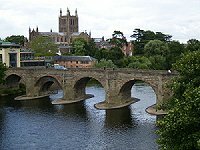 Suggested Trips :- if you fancy doing the whole journey by river from Hereford to Redbrook it will take you around 4-5 days gentle paddling. You can start your trip from wherever you like. 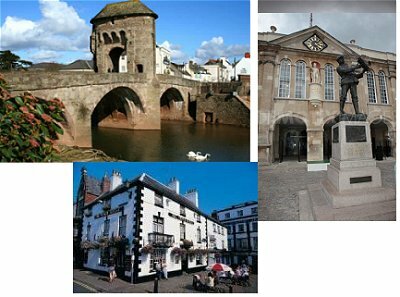 Ross on Wye to Monmouth is a very nice trip which you could do over a weekend, or if you just want to do a day trip Hereford to Hoarwithy, or Symond Yat to Monmouth is very nice, or you could do the whole lot in stages over several weekends, the choice is yours, hopefully this will give you some ideas. The beauty of inflatable canoes is you are free to go off and do exactly what you want when you want in your own time frame as long as you return your canoe by 6.00pm on the agreed return day. 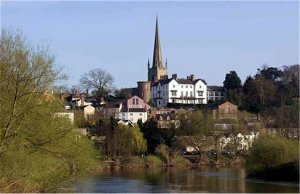 Due to the fact that the River Wye meanders around so much even if you canoe From Hereford to Monmouth you will only be a maximum distance of 18 miles away from your car at any point on your journey. You can either arrange for us to take you back to your car (at an additional cost) or the local taxi firm will charge you around £ 25.00, or alternatively as our canoes are so easy to carry (we can provide you with a fold up trolley if required) you could even catch a bus back to Hereford from Ross which also stops off at Hoarwithy (Buses run every hour and cost around £ 5 for a single fare) or Monmouth to Hereford (Buses run every two hours), or if you go as far as Redbrook you are still only around 20 miles from Hereford by car. If you would prefer to hire a solid canoe instead this can be arranged but the cost is slightly more as we will have to arrange to drop you off and pick you up. 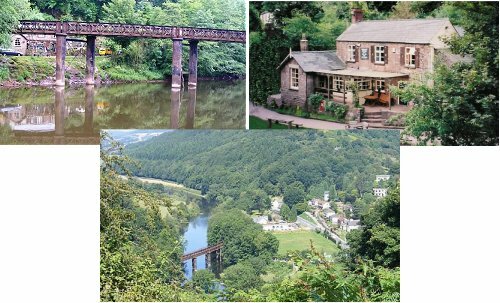 You may want to take one with you on holiday to France, Spain etc or stay locally and enjoy the beauty of the Wye Valley. Our helpful staff will point you in the right direction and offer you plenty of assistance to make the most of your trip. Why not follow one of our suggested routes which will include information of the duration of your trip and where you can stay.